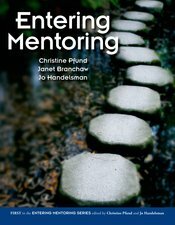 The mentoring curriculum presented in this manual is built upon the original Entering Mentoring facilitation guide published in 2005 by Jo Handelsman, Christine Pfund, Sarah Miller, and Christine Maidl Pribbenow. This revised edition is designed for those who wish to implement mentorship development programs for academic research mentors across science, technology, engineering and mathematics (STEM) and includes materials from the Entering Research companion curriculum, published in 2010 by Janet Branchaw, Christine Pfund and Raelyn Rediske. This revised edition of Entering Mentoring is tailored for the primary mentors of undergraduate researchers in any STEM discipline and provides research mentor training to meet the needs of diverse mentors and mentees in various settings. An important gateway to a curriculum aimed at improving an extremely significant yet remarkably overlooked educational practice: effective mentoring. The book practices what it preaches; it provides useful active learning elements and activities in a form that is easy to apply to a variety of settings. It should be a go-to owner.